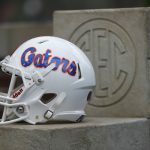 If the rest of 2017 National Signing Day can play out like the first hour did for the Florida Gators, no one would have anything to complain about. Minutes after the day truly began, four-star lineman Tedarrell Slaton (Fort Lauderdale, FL) committed to the Gators during a ceremony at American Heritage High School. 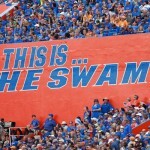 Slaton (6-foot-5, 360 pounds) primarily committed to Florida over Georgia and joins the Gators looking to play on the defensive line, though he also played offensive line in high school and excelled at both positions. He’s rated 69th nationally in the 247Sports Composite, making him Florida’s highest-ranked commitment of the cycle, which is not expected to change by the end of the day. Slaton is also the Gators’ only U.S. Army All-American of 2017. The commitment by Slaton continues positive momentum that has been built up by Florida. He’s the program’s fifth commitment in as many days, three of which are four-star prospects. 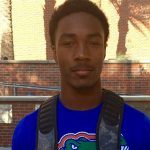 Be sure to check out live coverage of National Signing Day here at OnlyGators.com where we will talk more about Slaton’s commitment and the rest of the Gators’ 2017 class.